Krishan Kumar, who had accused the Nigerian national of burglary, along with four other men have been arrested by the police. 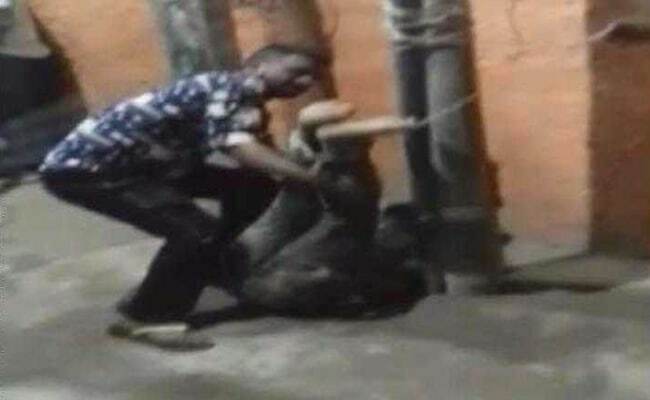 New Delhi: Spurred into action by the public outrage triggered by a video that shows a Nigerian man being mercilessly beaten in south Delhi last month, the police have arrested five people for the assault including the man who had accused the foreign national of burglary. 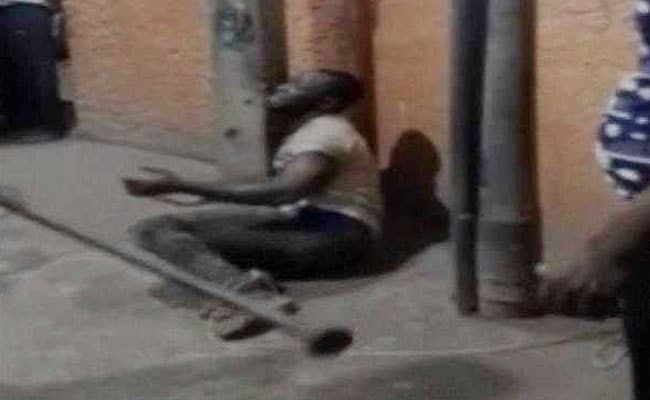 In the video, the Nigerian man, identified as Ahmed is seen tied to a lamp post and beaten with sticks while he begs and screams. Krishan Kumar, who had caught the Nigerian man trying to steal early on 24 September, was the first to be arrested late on Monday night, hours after the video got viral. The police said four more men had been arrested today after scanning the video footage. 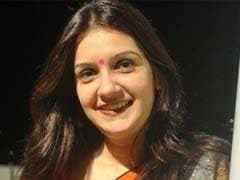 The men have been identified as Sanjay, Kamal Kant, Mahavir and Mukesh, south district police chief Ishwar Singh said. Ishwar Singh also ruled out any racial angle to the case. "There is no indication of a racial attack. The Nigerian Embassy was informed about the arrest of Nigerian national Ahmed before he was sent in judicial custody by a court here till Tuesday," he said. The 27-year-old Nigerian, Ahmed, was arrested last month after Krishan Kumar filed a complaint against him for attempted burglary. Mr Kumar had earlier claimed that Ahmed had broken into his house and tried to steal valuables from his almirah, when he was woken up. The police said they did not know that how Ahmed was injured till they saw the video. The police suggested they were taken the version put out by Mr Kumar and other local residents that Ahmed tried to run when they tried to catch him, slipped and fell down the stairs. Ahmed was allegedly barely conscious when he was handed to the police later that day. After the video emerged, a case of assault was registered and the court's permission sought to question Ahmed, who is still in jail. Ahmed did not mention anything about the incident, according to the police. His medical reports also did not indicate any assault. In the video shot on a mobile phone, however, the Nigerian man is seen crying for mercy as his attackers continue to slap him and asking him if he has any hidden money. In another visual, he is seen tied to the lamp post. No one is seen making an effort to stop the perpetrators. Incidents where African nationals were targeted in Delhi and nearby prompted envoys from many African countries to describe the attacks as "xenophobic and racial". The government denied racism in the attacks, terming them as "criminal acts".